What was before the Big Bang? Why are black holes black? Can we travel into the past? 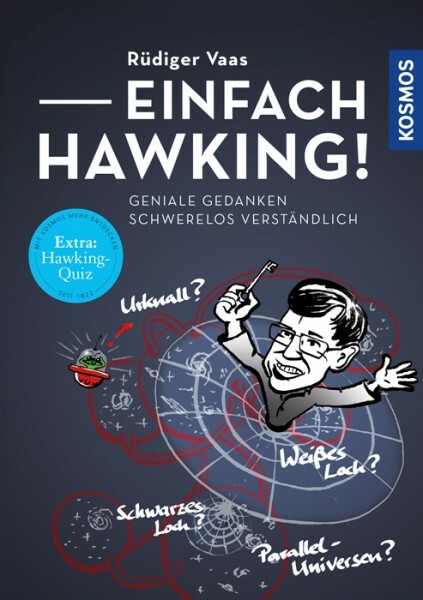 Rüdiger Vaas sheds the proverbial light on darkness for the 75th birthday of Stephen Hawking. With amusing text, he gets to the bottom of the big mysteries of science and explains in easily understood terms Hawking’s fascinating thoughts. Plus, smart illustrations show what is behind the ideas of the ingenious researcher. A stimulating journey through Hawking’s wonderful universe.